1. 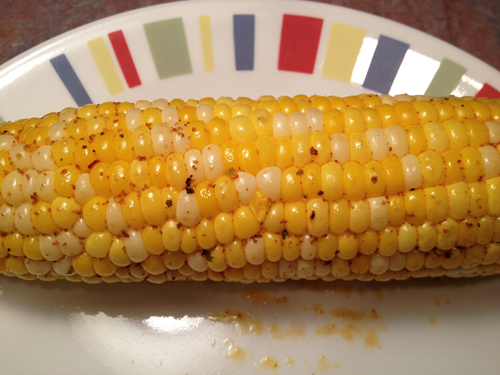 Combine butter with Texas Red and coat each ear of corn with the butter mixture. 2. Wrap each ear tightly with foil and place on the grill over medium heat, turning frequently. Cook for 15-20 minutes. Remove from grill and serve.